Counter-Strike is an online multiplayer first-person shooter, and one of the most popular video games in the world. Despite being originally released in 1999, the latest iteration is still one of the most played games on Valve’s Steam store. 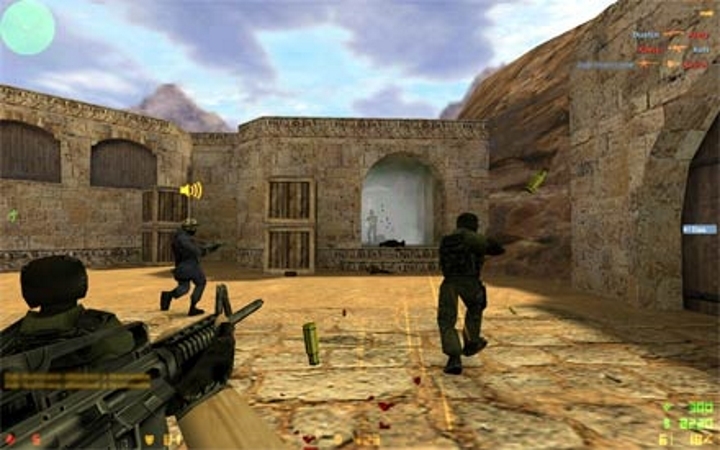 But Counter-Strike has also been controversial, due to its intense and violent multiplayer action – it’s a small scale team-based game in which the guns are lethal and one side gives no quarter to the other. The game has also been linked to the deadliest school shooting in the history of the US. Virginia Tech freshman Seung-Hui Cho went on a killing spree on the campus in 2007, killing 32 people before committing suicide. The Washington Post ran an article which mentioned that he was a fan of Counter-Strike, although no video games were found in his campus room. So the Counter-Strike connection is doubtful, although it is clear that he at least played Sonic the Hedgehog… But this did not prevent a Brazilian judge from banning the sale of Counter-Strike in that country, claiming that the game could lead to the “subversion of the social order”.